Yes Stanley, well spotted, you are perfectly correct about the seeming contradictions in Fr Roberts eight points. But upon study we find the 1820-35 decrees spoke not of any doctrinal contradiction but merely concerned the publication and reading of non heretical heliocentric books, something allowed in 1616 so as not to stop the measurements of astronomy..
That doesn't look like a statement only about non heretical heliocentric books, unless you are admitting that modern cosmology is not "heretical". The text you quoted says the Pope decreed that "no obstacles exist to sustain" this. Stan, can you help us untangle/unpack/understand the following endorsement by Professor Jakub Taylor of Fr. Robinson's book given on Fr. Robinson's website? See https://therealistguide.com/endorsements. It is not an easy task to write a short endorsement of Fr. Robinson’s book, even if - in itself – the book is not a long opus. The difficulty lies in fear which I experience together with many commentators of the works of St. Thomas: it lies in a justified anxiety that the comment will become much less comprehensible in relation to the scrutinized original. But if, despite the lack of skill, I am to fulfill my task, I should follow a simple pattern of judgment and try to respond to two fundamental questions: does the author recognize the importance of a problem he is dealing with, and does he presents an adequate remedy. In my opinion, the answers to both of these questions appear to be positive. Let me try to explain why. Chesterton used to mock modern men by saying that “like other barbarians, they really believe the mirror”; and therefore break it, hurting themselves and others in the process. Men have not changed from the time of Chesterton, it seems that human condition reached the bottom of the gnoseological abyss: most of us do believe that the reflections of the ‘mirrors’ represent the essence of being. Fr. 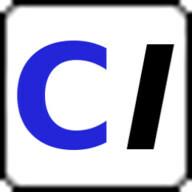 Robinson would agree with this assessment, as he considers the idealistic epistemology the source of most (if not all) contemporary problems, both within the parallel and vertical dimension of human reality. A remedy he proposes is simple: return to the realist cognition and focusing upon causa finita argumentation. Pointing out these two factors proves that author possesses a good intuition and perceptive abilities, features not shared by many. Why is focusing upon modus quo rather than modus quod so important? The way we approach reality is quintessential, as it determines our every-day praxis. This fact is nicely put into words by a Polish contemporary poet, J.M. Rymkiewicz. In 2011, he expressed his frustration about the ongoing events by assessing the problem of the destruction of human identity, a disregard towards tradition, and the accomplishments of the past, while at the same time exaggerated, beautified ‘non-reality’ was being imposed by ‘deceivers and villains’. “Nothing is true anymore” - he writes emotively – “we have fiduciary economy, irrelevant problems presented to us as relevant, fictitious state agencies administered by a fictitious government… Even unimportant details of this ‘non-reality’ are nothing but the shards of thoughts of the un-real authorities and un-real literati, who preach to us that this ‘non-reality’ is indeed the essence of what is”. Polish poets are not philosophers or scholars when it comes to guarding their tongues, but from time to time they manage to name the problem more accurately than others. Rymkiewicz called this phenomenon a “Great [Cognitive] Darkening”, which is a term semantically close to what Gordon Wood called an ‘Epistemological Revolution’. Fr. Robinson, following the great tradition of Christian Aristotelianism and thoughts of the erudite English-speaking apologists, managed to describe the very same problem taking the philosophical deductive approach. Comparing to either Rymkiewicz or Wood he did it in much more coherent and compact fashion. Not many thinkers today are capable of such a feat, as most of them shiver in fear at being considered ‘judgmental’ or they pursue the feeling of safety within the ontological realm of ‘concepts’, doing anything to avoid suspicion of being called ‘axiom-obsessed supporters of foundationalism’. Fr. Robinson knows that talking about the absoluteness of truth is not very pleasant to a modern scholar, especially when it challenges the established lie (often sugar-coated by the term ‘paradigm’), but it is – de facto – a very scholarly thing to do. In my opinion, the author of the “Guide” deserves praise for this attempt, as well as for his attachment to the aleithia-oriented philosophical tradition. The fact that he was capable to interweave his very specific (I dare even say ‘sarcastic’) sense of humor within the precise philosophical narration is even more praiseworthy and should be highly regarded by the readers. If I were to point out the feature of the book that I regarded most highly it would be the following: within the Anglo-Saxon worldview, any epistemological discourse will often end up facing the alleged dichotomy between the realm of religion and the realm of science. It is an obvious categorical shift problem intrinsically affiliated with the Euler diagram. I was very happy to find this issue addressed in the book. I had an impression, that Fr. Robinson, unlike many of his contemporaries, was quite successful in explaining this issue. Even if Fr. Robinson’s critique of contemporary scholarship might appear to be too harsh, one might at least hope that it will lead scientists to avoid advocacy research, and build their theorems upon the realistic basis or, at least, to encroach the realm of philosophy or theology only after an adequate theoretical preparation. It might be nothing but an expression of my enormous naivete, but I dare to assume that if this guide is to be followed by other works of this kind, there is a chance of effective propagation of realistic thinking not only among the amateur philosophers, but even among us, professional concept-making academicians. A daring think to hope indeed! And I thank Fr. Robinson for giving me this hope by writing his extraordinary book. Had enough of Taylor and his endorsement? Then you may wish to consider the other half of the terrible two's presented as endorsers of Fr. Robisnon's book on Fr. Robinson's endorsement page found at https://therealistguide.com/endorsements. The one and only priest (a Maronite) giving an open public endorsement (quite superficial though it may be) of Fr. Robinson's book on Fr. Robinson's website (https://therealistguide.com/endorsements) has his own website which has some rather unusual stuff on it. A sound philosopher, able to move with confidence from Plato to quantum, Fr Paul Robinson here explains, in clear terms, with illustrative examples to facilitate effective understanding, why and how it is that we can attain to knowledge, find truth, and grasp reality. With this volume, the student will be able to safely navigate through the busy halls of philosophy, seeing where and how errors arise, and how to vindicate the truth. Fr. Joseph Azize, Ph.D (University of Sydney), Honorary Associate, Dept of Studies in Religion, University of Sydney; Adjunct Assoc. Prof. University of Notre Dame, Australia. Joseph Azize (Fr Yuhanna Azize) is a Maronite Catholic priest serving at Our Lady of Lebanon Co-Cathedral, Harris Park, and is research officer at the Chancery (the bishop’s office). He has authored or co-authored another eight books and many academic articles, especially on religious topics. He is an honorary associate in Studies in Religion at the University of Sydney, and an adjunct Associate Professor in Theology and Ancient History at Notre Dame University, Australia. The same Fr. Azize who Fr. Robinson has featured on his website is the author of a book about the deceased singer John Lennon. The following description of Fr. Azize can be seen on the Amazon webpage showing this book. Also included is the following description of the book. 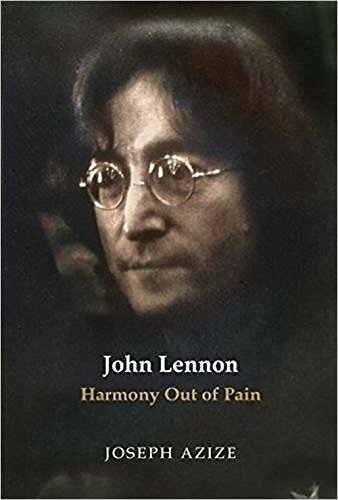 John Lennon: Harmony Out of Pain was written for people who both love enough of John Lennon's music to care about its maker, and also feel that there is something deep at work within themselves, that there is something sublime to be learned about ourselves and the world. While many books have been written about Lennon, this is the first time someone has looked at Lennon from the inside. As Joseph Azize works through the various themes in the book, he arrives at an objective look at an extremely complicated man. As John Lennon found his way towards being a Normal Man certainly one who has had an impact on the entire world and extraordinary in that manner inside he struggled like anyone else with his demons and angels and fought the good fight, just as Jacob wrestled all through the night ending up with a broken hip and a promise. John Lennon also ended up scarred and wounded, but whole. While there are many books about John Lennon which are really just jingoism and gossip the dish and the dirt this book is about John Lennon in the light of the Gurdjieff Work. Although Lennon was probably not a student of G.I. Gurdjieff or his ideas, the course of his life until his untimely death is ripe with material for pondering his state of being during those times. Those readers who do not know anything about the Fourth Way Gurdjieff s path in life will be amply rewarded by reading this book, and those who take a serious interest in Mr. Lennon s work will also be amply rewarded by sharing the insights of the author who truly has a genuine and heartfelt love for Lennon s music. Joseph Azize is a priest in Sydney, Australia. He is active in spiritual direction, especially contemplation and vocational askesis, while also working as an academic and writer of church music. His life was transformed when he met and studied under George and Helen Adie, who had been personal pupils of G.I. Gurdjieff, and embodied the path of mysticism in daily life. Fr. Azize s other books include: How to Spot a Fraud, The Phoenician Solar Theology: An Investigation Into the Phoenician Opinion of the Sun Found in Julian's Hymn to King Helios, and George Adie: A Gurdjieff Pupil in Australia. If you are wondering who in the world G.I. Gurdjieff is please take a look at the Wikipedia article on him. It is quite telling! 1820: His Holiness has decreed that no obstacles exist for those who sustain Copernicus’ affirmation regarding the Earth’s movement in the manner in which it is affirmed today, even by Catholic authors. Note above in 1820, the decree refers to 'Copernicus's affirmation regarding the Earth's movement in the manner in which it is affirmed today.' Note also the reference to the Index decree of 1757. Now why did the decree refer to the point 'in which it is affirmed today?' Well that is because Olivieri told him the heresy of 1616 was a violent heliocentrism, and that the heliocentrism 'affirmed today' by all heliocentrists was not violent so was allowed. The Pope was also told that the heresy of 1616 still stood, so he made sure to say the heliocentrism of today. On September 29, 1741, the Padua Inquisitor Paolo A. Ambrogi wrote to the Holy Office under Pope Benedict XIV in Rome on behalf of the Padua seminary looking for permission to publish the complete works of Galileo Galilei, including the banned Dialogue. Such, he said, was the demand for Galileo’s writings that it was prudent to reproduce them, if allowed, in the light of the Church’s correction conditions. Ambrogi said the works would be edited so as to comply with the ‘hypothesis’ rule, that is, heliocentrism as a way to study the sky but not as the possible true order of the universe. In 1616, the Holy Office allowed certain astronomy books to be published and read if they depicted heliocentrism as a 'hypothesis,' that is as a means of figuring out the movements in the sky. What was banned was any suggestion heliocentrism was a truth and therefore a biblical truth contrary to the opinion of All the Fathers. In some cases only a little correction was necessary to receive permission to publish. In 1741 as we see above, such permission was sought for the Dialogue and eventually granted after corrections. The 1616 heresy was kept in mind during this process. Eventually the holy Office took other books off the Index but kept 5 that claimed heliocentrism was true. So, this 1741-1757 issue was about astronomical books that adhered to the 1616 decree. So too were the decrees of 1820-22 about astronomical books. The Pope allowed their publication then because they did not contradict the heliocentric heresy decreed in 1616, or so he was assured by Olivieri and all his pals. Olivieri got away with his scam because the 1616 files had been removed from Rome by Napoleon and they only had the 1741-57 files to decide things on. And again, Pope Pius XII when he said 'no obstacles' did not mean no heretical obstacles but no astronomic obstacles to heliocentrism so allowed Canon Settele's astronomy book with its non violent heliocentrism to be published. . Finally it was Pope Gregory XVI who took the last five books off the Index, but we are told he did this 'without comment.' And again, just because a book is taken off the Index does not mean the Heresy in it has gone too. Finally, Stanley, be aware that it is YOU and OTHERS who accuse Pope Pius VII of spreading heresy if you insist he meant no doctrinal obstacles. Klas and I do not accuse any Pope of the time of spreading heresy. "All in all, the fallacious arguments that Oliveieri submitted in his Summation, the Congregation of the Index was grossly ill-advised when it came time to deciding whether to grant an imprimatur to Canon Settele. Under such duress and false information, the whole affair is tainted from start to finish. Olivieri may have been successful in obtaining an imprimatur for Settele but this did not mean the Church's condemnation of heliocentrism had been rescinded. Imprimaturs given to private books have no authority in overturning Congregational decrees approved by supreme pontiffs and/or facilitated by a canonical trial, as was the case in both 1616 and 1633. In face of the fact that the permission initially given to Galileo's Dialogo was later rescinded by the 1633 magisterium because it found the imprimatur was issued under false pretenses, makes the Settele imprimatur mor of an anomaly than a precedent. In addition Copernicus, Zuniga, Foscarini, Kepler, and Galileo remained on the Index. Hence, the Settele affair proved only one thing, namely, that a high-placed cleric could convince his peers with pretentious scientific claims that neither he nor they could prove since the science of cosmology was still in its infancy. As we noted in the case of Bradley versus Airy, science would not mature nearly enough to shed sufficient light on Olivieri's claims until long after he and his contemporaies had died. And when it shed its light, it would show that Olivieri's claims were fallacious. As for Pius Vll's role in the Settele affair, although there are various accounts that, after receiving Olivieri's report, he helped smooth the pathway for Settele to obtain the imprimatur, no document exists containing a quote directly from Pius VII endorsing either Settele or heliocentrism." You may not "accuse" the pope of spreading heresy, but it is implicit in your beliefs. In 1820 the Pope said there was no obstacle to sustaining the view that you think was infallibly defined as heresy in 1616. Even if you think 1820 was only about permitting books, the Pope said there was no obstacle to sustaining what you think are heretical views, even by Catholic authors. In the 1820 statement, Copernicanism is never referred to as a fact or thesis but only as an "opinion" (e.g., "the opinion of Copernicus," and "the Copernican opinion," cited in the first decree). Likewise in the second decree of 1822, the heliocentric cosmology then advocated by various scientists is never referred to as a fact or thesis, but only as an "opinion" (e.g., "the common opinion of modern astronomers"). An opinion is not a fact or thesis. It is closer to a hypothesis or a theory. As such, the Congregation of the Index appears to be saying that, as an official institution of the Catholic Church, it is not, and will not, advocate heliocentrism as a scientific fact, but if a Catholic author (such as Stanley? ) desires to formulate arguments to the contrary he may do so (even on a tradCat site such as CathInfo), and, of course, he does so at his own risk. As such, the permission to print Settele's book is never said to be granted on the basis that the Index recognizes heliocentrism as a fact or these, but only as the "Copernican opinion, as it is presently defended..." since both Copernicus' and "modern astronomers'" treatment of heliocentrism is nothing more than their respective opinions, then obviously Settele's advocacy of heliocentrism cannot be considered any more than an opinion, regardless of whether he, himself, (or even Stanley) believes it to be a thesis or fact. "… the permission initially given to Galileo's Dialogo was later rescinded by the 1633 magisterium because it found the imprimatur was issued under false pretenses … ." I have chosen to highlight this particular sentence as a representative sample of the evidently uncontrollable impulse to falsify evidence—or fantasize it into existence; take your pick—that is ever so characteristic of those soi-disant orthodox Catholics who have little to no respect, not only for Galileo, but for the successors of Peter and the Apostles who have taken the utmost care to use the power of the Keys, divinely entrusted to them, with seemly gravity. Put plainly, there was no such statement in the "1633 magisterium," whatever that curious composite term may actually refer to (when one is going to prattle legalistically, the least he can do is stick to proper legal terminology). What there was was this: a draft document, prepared for Galileo's formal abjuration, in which this claim was included with no evidentiary support whatsoever. When Galileo flatly refused to sign the abjuration, regardless of the consequences to himself, if this charge was retained, the Examiners deleted the wording (as they doubtless knew full well they had to). * Incidentally, Galileo also required the removal of the charge that he was not "a good Catholic." As the Examiners, unlike cassini and many other CathInfo commenters, lacked the remarkably useful ability to read minds, they conceded that point to Galileo, too. The bottom line is this: the formal document of abjuration signed by Galileo on June 22, 1633, did not include either a charge or an admission of an illicitly obtained imprimatur. The fact that someone cited as an authority by klasG4e gets this elementary fact wrong calls into question his reliability on everything else he writes about the affair. *Galileo's grounds were that, as he had acted in all candor by following to the letter the requirements for obtaining the imprimatur, to admit that he had employed false pretences would constitute the mortal sin of perjury. In addition, a false admission would make everyone else in the approval and printing process liable to severe criminal penalties—hence, another grave sin against justice. Considering the history of the Galileo case, one of the most complicated in the history of the Church, the truth is contained in the word of God, and the popes when acting officially in His name. This occurred in 1616 and again in 1633 when Pope Urban VIII ordered the following: '“Invoking, then, the most holy Name of our Lord Jesus Christ, and that of His most glorious Mother Mary ever Virgin, by this our definitive sentence we say, pronounce, judge, and declare, that you, the said Galileo, on account of these things proved against you by documentary evidence, and which have been confessed by you as aforesaid, have rendered yourself to this Holy Office vehemently suspected of heresy. Now when a pope confirms a decree issued by his predecessor invoking Jesus Christ, anyone who rejects it shares in that heresy. For a Catholic to even suggest a pope could invoke Jesus Christ to witness an error shows me a lack of faith. Moreover, any Catholic worth their salt should know no pope can ever officially reject a dogma that a previous pope has defined. The banning of books containing heliocentrism began in 1616. When senior churchmen began to believe the lies of Satan that the Bible's geocentrism was proven wrong they literally did not know what to do. But we also know from our Church's teaching that God will not allow a pope to define a heresy in error, nor will he allow an official abrogation or denial of that heresy. That is Church teaching and if you don't agree with it go to a Protestant forum instead. As we demonstrated above the Church of 1616 allowed books on heliocentrism that did not claim it was a truth, merely as a means of measuring the movements of the Sky. It banned books that portrayed heliocentrism as a truth, contrary to Scripture. By the Eighteenth century The heresy was forgotten but the ban was a huge embarrassment to churchmen. Thus when in 1741 the holy Office was asked if a book on Galileo's astronomy could be published it was allowed only after it complied with the book-ban decrees. This eased pressdure on the Church, but the philosophers kept up their protests and assertions that heliocentrism was a natural truth. 1820, and another book was looking for licence to print. Olivieri, 100% convinced heliocentrism was a proven fact, wanted to allow publication. But a Fr Anfossi stopped this and challenged Olivieri saying that in 1616 heliocentrism was defined as heresy. In answer to that Olivieri conjured up his 1616 violent heretical heliocentrism and his non-heretical non-violent heliocentrism. He managed to convince the pope to allow all heliocentric books of the time be published because their heliocentrism no longer had a violent turning Earth. The Pope believed him and allowed publication and forbid any attempt by the Anfossis to try to stop books with the new helionentrism. Throughout the 1741-1820 U-turn, no pope dared try to undermine the 1616 decree defining the heresy. That is proof of infallibility and proof that no matter the circumstances no pope will officially contradict an irreformable decree. But of course you are right Stanley, by allowing books to be printed it did 'infer' the 1616 decree was abrogated or ruled of no authority. But this 'inference' was not explicit, and to say it was is to accuse popes of allowing heresy. I have no doubt that when Pope Gregory in 1835, emptied the Index of all heliocentric books he did so 'without comment.' In other words, like Pope Pius VII before him, he did not say the heresy no longer exists, he offered no abrogation, a necessity to abandon any Church teaching. Now with heliocentrism rampant in the world, it suited churchmen to allow this illusion that it was no longer a biblical heresy. It got the Church off the 'embarrassing ' hook, while safely placing that heretical violent heliocentrism 1616 decree out of sight. In time, in spite of Einstein's pointing out the geocentrism of the Bible cannot be proven wrong, the Church was so infiltrated by Modernism that no one was bothered or interested in recalling the U-turn. It had now become a bigger 'embarrassment' that the 1616 decree if the truth got out. ‘Every one admits that Galileo during his trial was treated with unusual indulgence; and his sentence was a much lighter one than he had reason to expect. Let us look at things from the standpoint of the court. It assumed; we must bear in mind, that the doctrinal question had been settled, and that the decision of 1616 was absolute. The issues before it were these. Had Galileo wilfully transgressed the order he was under, not to treat of heliocentrism in any manner, and did he hold and had he written advisedly in favour of that condemned opinion? If so, by the ruling of the court, his crime was heresy. ‘Galileo’s answer on the first count was that he had completely forgotten the order contained the words “teach in any manner.” And to render this statement credible he produced Bellarmine’s record of the order without the words. He had taken, he said, that certificate as a complete account of the transaction it referred to. Nor had it occurred to him to tax his memory on the subject. Further, since it was obvious that the judgement notified to him was one and the same thing with the declaration of the Index, he had not supposed himself to be under any special restriction, and had not thought it necessary to mention the order when he applied for his imprimaturs. Galileo was to be questioned about his intention. He was to be threatened with the torture even though it was never intended due to the fact it was illegal to torture anybody of Galileo’s age. If he responded to the threat and admitted his guilt, he was to be condemned - after making the abjuration “de vehementi” in a full assembly of the Holy Office - to imprisonment during the pleasure of the Sacred Congregation. An injunction was to be laid on him never again to treat of the heliocentric theory, for and against, by word of mouth or in writing, under pain of being dealt with as a relapsed heretic. The Dialogo was to be prohibited. And that all might know those things, his Holiness commanded the Congregation to send copies of the sentence to all the nuncios Apostolic, to all the Inquisitors of heretical pravity and to the Inquisitor of Florence, who was to summon mathematical professors to hear it read publicly. Accordingly, on the 21st June 1633, Galileo underwent a final examination with respect to his intention in writing the Dialogo. He was asked to say whether he held or had held, and since when, that the sun is in the centre of the universe, and that the Earth is not the centre, but moves, and with a diurnal movement. He replied that before the determination of the Congregation of the Index, and until he received an order to the contrary, he had suspended his judgement on the matter, and had thought it an open question whether the truth lay with Ptolemy or Copernicus, there being no reason in the nature of things why either might not be right. But when his superiors decided the point, he ceased to doubt, and held, and continued to hold, the opinion of Ptolemy, that the Earth is fixed, and that the sun moves. Thus the declaration of the Index - for which all the authority of an absolutely true decision was claimed - was identified with the condemnatory judgement made known to Galileo by a Congregation held in the Pope’s presence. This was significant enough, but mark what followed. “And when a convenient time had been assigned you for your defence, you produced the following certificate in the handwriting of the most eminent Lord Cardinal Bellarmine… procured, as you said, to protect you from the calumnies of your enemies, who had put it about that you had abjured, and had been punished by the Holy Office; in which certificate it is affirmed that you had not abjured, had not been punished, but only that the declaration made by our Lord the Pope, and promulgated by the Sacred Congregation of the Index; had been announced to you the tenor whereof is, that the doctrine of the motion of the Earth, and of the fixity of the sun, is contrary to the Sacred Scriptures, and therefore can neither be defended, nor held. “But this very certificate produced in your defence has rather aggravated the charge against you; for it asserts that the above-mentioned opinion is contrary to Holy Scripture: yet you dared to treat of it, to defend it, and advance it as probable.” Here the Congregation plainly made it known that the decision of the Index was Papal. But in what sense Papal? In a sense according to what had been said above, to make it a most grave error to suppose that the opinion condemned thereby could in any manner be probable. In a sense, according to the sentence that followed, to justify its being classed with declarations and definitions the conclusiveness of which it would be heresy to deny. It was papal in such a way that a Catholic might be compelled to yield its doctrine the assent of faith. Footnote p.88. In this part of the order the Pope not obscurely intimated his will that the Copernican-minded Catholics should be forced to yield assent to the decision of 1616. For the local tribunals of the Inquisition were to take their tone from the Supreme Court. Footnote page 72. The abjuration was a solemn profession of faith, accompanied with a renouncement of every opinion opposed to the Church’s teaching, exacted only from those attainted of some crime implying unsoundness of faith. Hence Galileo’s anxiety to return to Florence after the proceedings of 1616 with a testamur that he had not abjured, and therefore was not guilty of any breach contrary to the Catholic faith. To be condemned as a heretic Galileo would have had to admit interior dissent to the prohibition of heliocentrism as a truth consonant with Scripture. Exterior assent such as that in his book was not enough to show what was in his heart. Without a confession, which Galileo did not admit to, the Holy Office could not assume nor condemn something it cannot know with certainty. Thus Galileo was found guilty of suspicion of heresy based on his writings alone. In and of itself, the quoted sentence is highly revealing of the mind-set of both cassini and his source, a certain Father Roberts, in that it is a glaring example of petitio principii; that is, it takes for granted the very question that is at issue and then improperly uses this unwarranted assumption as a basis for further blackening its target. Facts and evidence mean literally nothing to such people. To them, the Galileo affair is a moral fable, a kind of fairy tale in which all the good guys are as simon-pure as the white hats they figuratively wear and the bad guys are so evil that we may justly assume that, in addition to committing all the crimes they are accused of, they kick puppies and children and push old ladies off the sidewalk. As I see not the slightest evidence that cassini and his allies have read with comprehension the tens of thousands of words they ceaselessly continue to post here, generally in oversized type, it is virtually pointless to hope that they will someday embrace rationality, let alone charity. All one can reasonably hope to accomplish is to persuade one or two readers not to emulate their un-Catholic closed-mindedness. That is Church teaching and if you don't agree with it go to a Protestant forum instead. Says the person who in this discussion has invoked an atheist philosopher and a heretic clergyman as authorities. Many years ago I read the following anticipating typically the above two rhetorical replies from Claudel and Stanley to posts by myself and Klas. As a consequent of our research, many new readers will first endeavour to ignore our findings, and that failing will dismiss or censor it out of hand according to their needs, a censorship already implemented in some prominent Catholic discussion forums. The credibility of four hundred years of Galileoism and its promulgators in Church and State will be defended on every ground. If Einstein’s ‘special relativity’ offers them an ‘intellectual’ choice then they will stick with their heliocentrism through thick and thin. They will do this with an arrogance we can easily predict, for, as you will see for yourself, the very ‘scientific method’ they claim to adhere to, will mean nothing to them because their belief in the heliocentric Copernican revolution and Galilean reformation is, as Albert Pike the Freemason forecast, ideologically and psychologically based, not theologically, metaphysically and empirically founded. ‘Science perishes by systems that are nothing but beliefs; and Faith succumbs to reasoning. For the two Columns of the Temple… must remain separated and be parallel to each other…. Harmony is the result of an alternating preponderance of forces.’ --- Morals and Dogma, p.306. Accordingly, the Catholic truth they should be defending will be corrupted to meet their philosophical position. And this is why they will resort to a censorship of kind and the tried and tested ‘ad hominem’ ploy, that is, either an unqualified rejection of the disclosures, or rhetoric designed and directed against the contributors and contents of this [thread] to avoid actually having to address the evidence contained within it. The entrenched Galileans will also point out in no uncertain manner that the geocentrism and geostatism defended herein is simply stupid according to most and it is outrageous to assert the Catholic Church made it a dogma of Scripture. They will also claim the defenders of the irreformable 1616 decree are this or that, not trained scientists, cosmologists, mathematicians, historians or theologians, so what could they know? We know all this will happen because it has already begun. Talk about predicting the future as our friends above demonstrate. How would you think a Catholic would respond if someone presented a doctrine as taught by the Church, that the Church doesn't teach? I think I've given you a fair hearing, and you haven't demonstrated that the 1616 statement of the Index was infallible, let alone plausibly explained how the Church could fail to teach for 200+ years what you consider to be defined dogma. The best I can say is the view of geocentrism you've presented is a caricature. You may mean well, and even believe it, but it looks like the sort of thing that non-Catholics come up with because they don't really understand the Church. That geocentrism leads someone to use quotes from enemies of the Church as doctrinal authorities should be an indication that something is wrong with geocentrism.